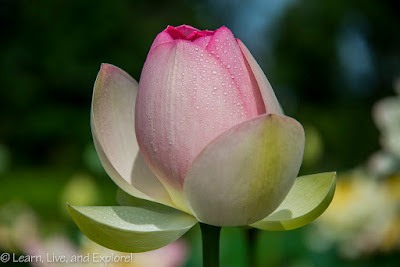 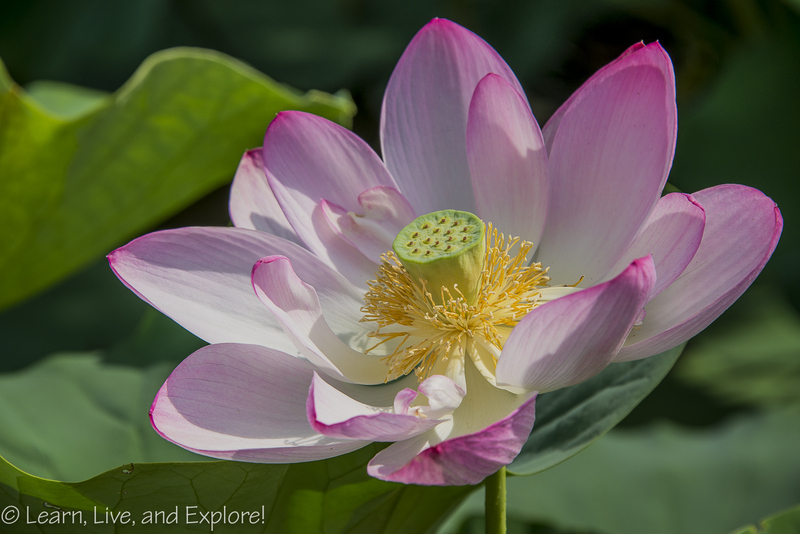 Annual Lotus Bloom ~ Learn, Live, and Explore! 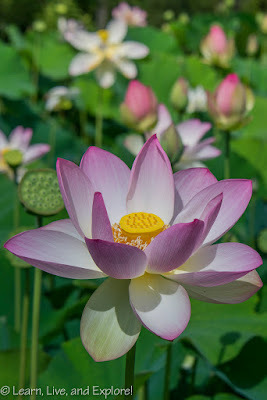 July in Washington D.C. means two things for flowers - lotus blossoms and sunflower fields. 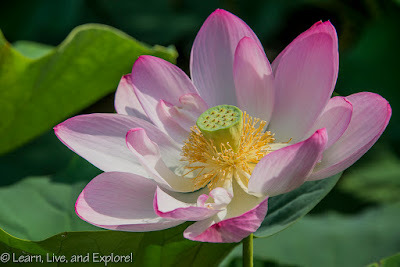 This year, limited in time, I chose to head over to the Kenilworth Aquatic Gardens to check out the lotuses and water lilies. 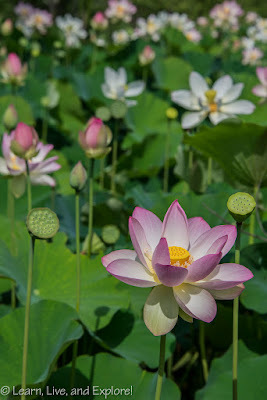 The shots I've seen from the sunflower fields are all showing a less than average bloom up there, which reinforced my lotus decision. 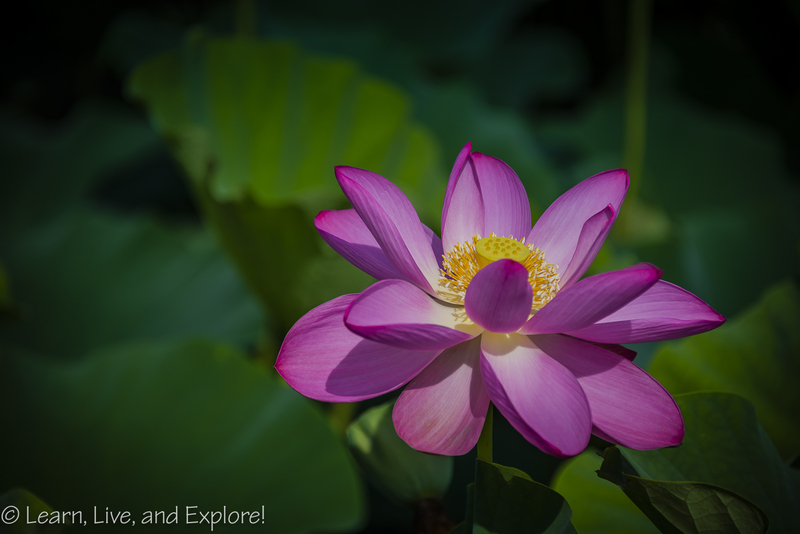 Mid-July is a great time to head to this free national park just off of 295, near the National Arboretum. The lotus blooms are in various stages - budding, open/prime, and post-peak. 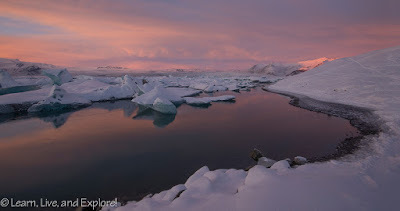 While you're likely to encounter other photographers, if you go during an off-peak time it's not hard to find some space to work. 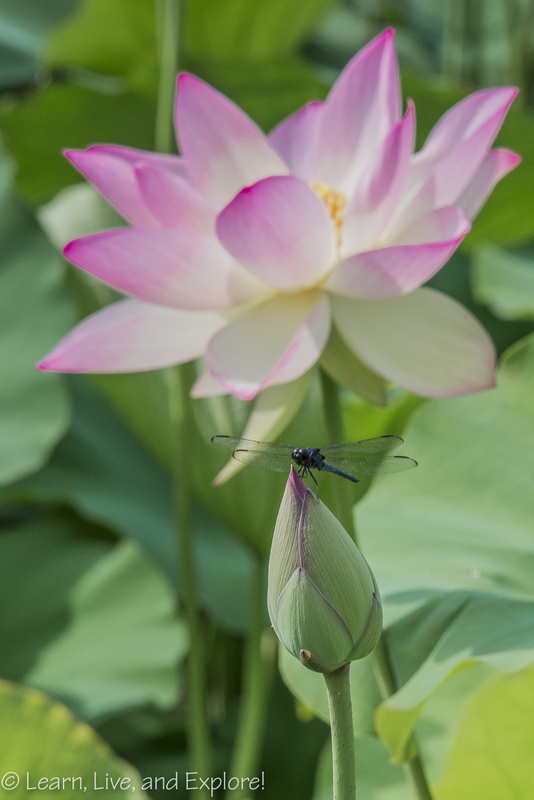 Plus, the ponds are large and plentiful to accommodate those with or without tripods. 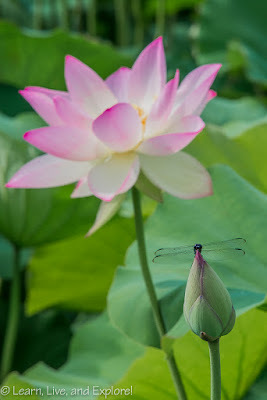 The site is also great to practice various photography skills, including macro shots, finding objects to focus on that are not the lotus itself (insects, birds, etc. 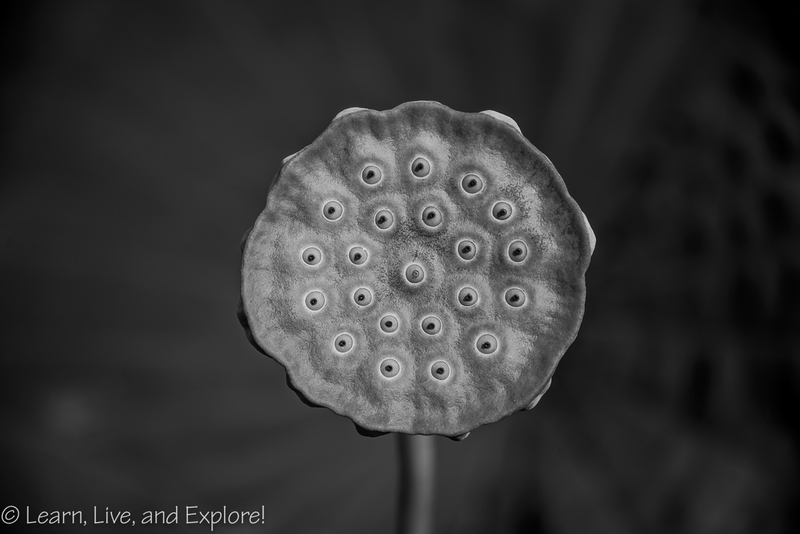 ), or getting real abstract shooting the lotuses indirectly, like a reflection in the water. So much to do and fun to be had! 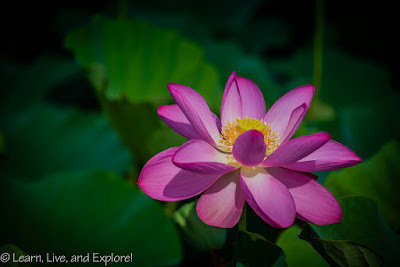 Here are some samples of the shots I ended up taking. I'm very lucky to have had such a cooperative dragonfly while I was there. The lotuses and other photogenic flora at the gardens also provides a plethora of opportunities to play around with your shots in post-processing to accentuate the focus of the image, oversaturate some colors if desired, or to do some dramatic black and white. 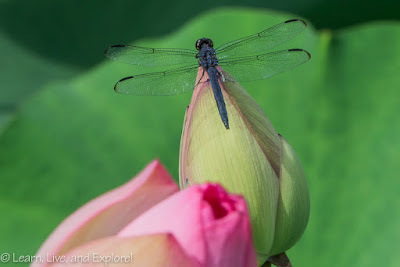 Bottom line, get outside with your camera and shoot and have fun!